Okoawo BlueGate: How dare devil armed robbers robbed a bullion van in Delta and made away with millions. How dare devil armed robbers robbed a bullion van in Delta and made away with millions. Some daring armed robbers on Tuesday in Commando snatched cash said to be running into several hundreds of millions of naira from a bullion van at Ubulu Okiti, Delta State. 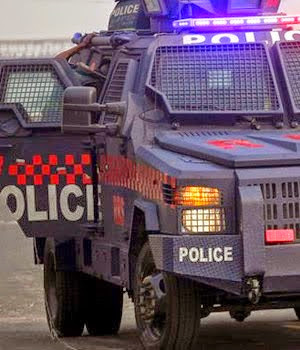 One policeman was feared killed while many of his colleagues and other residents of the area were injured in the incident which occurred at the Ubulu Okiti portion of the porous Asaba-Benin Expressway. Heavy shoot-out occurred during the attack on the bullion van conveying the money from Asaba. The gun battle ensued as the robbers made to escape with the money. Anyway, the Delta State Police Public Relations Officer, DSP Celestina Kalu, who confirmed the robbery, is claiming that nobody was killed. “Several of our men and civilians were injured and are receiving treatment in hospitals,” she said, adding that the robbers escaped with the money in the bullion van. She however refused to disclose the exact amount the robbers took.